What is Solar Lighting and What are its Advantages? Renewable energy has increasingly become the subject of discussions that seek to find causes and solutions to the rising environmental crisis and pollution. Indeed, there are no doubts that conventional, industrial production of energy is using up our exhaustible resources too rapidly. Hence this way is far from being sustainable and in not so distant future will cause many problems of a scale larger than the one we are facing currently. However the situation is not all that gray and hopeless as new inventions and technologies are developed by scientists who dedicate their effort to discover new more environmentally friendly alternatives. In the past few decades, solar energy has been identified as one of the most effective of all the inexhaustible and renewable energy sources and many countries already are doing a great job in promoting households and companies to invest in solar panels. The energy collected by solar panels can be used for various purposes and one of them is to produce solar lighting. Basically, it is a lighting system that provides and stores its own energy from its own source. This article will provide you a short overview on what exactly solar lighting IS, what type of solar lighting currently IS available and what the advantages of using solar lighting are. The principle of how solar lighting works is actually quite simple. The physical explanation behind why it is possible to collect the solar energy and transform it into lighting lies in the photovoltaic effect which is being used in a solar panel or photovoltaic cell that is able to collect the solar energy (i.e. the energy that is produced by the Sun) throughout the day-time. After being collected, the energy is usually stored in a rechargeable gel cell battery and used later in the evening when there is no sunlight to produce lighting. The light is being turned on by an intelligent controller which is switching on the LED light using the energy that has been stored. The panel itself consists of numerous layers of crystalline silicon as well as various chemicals that can make layers of negatively charged electrons and positively charged spaces. After passing through the solar cell, the sunlight activates negatively-charged electrons and pressures them into the positively-charged spaces. 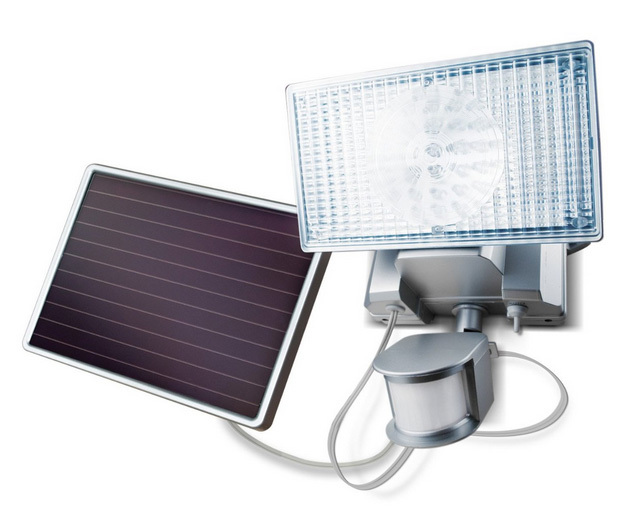 Solar lighting is mainly used to provide outdoor lighting during the evenings and night-time. It is used both in streetlights as well as can be used for smaller areas such as your garden or porch. Hybrid Solar Lights. This is the newest generation technology in the market providing grid interactive solar lighting systems also known as hybrid systems. 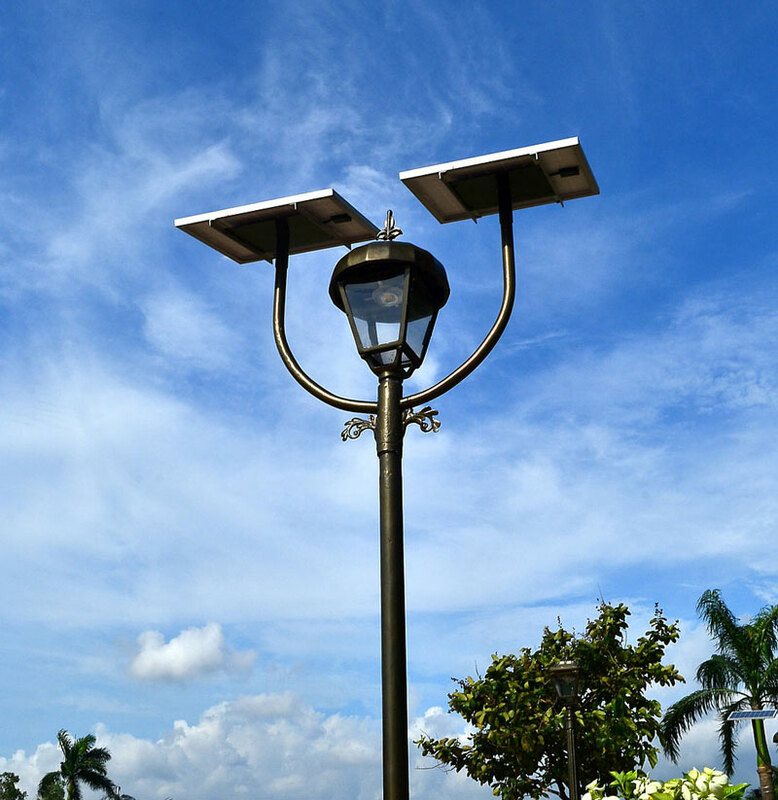 The hybrid solar lights are more complex and there are several systems available that function differently depending on whether the energy is used to power grid or lighting, or both. What types of solar lights are available? Solar lighting technologies have developed quite significantly and when searching for some options, you will surely see that there are more than just a few of them. It means that now you do not have to opt for one type of solar lighting but you actually have quite a wide choice tailored to different functional and aesthetical preferences. What are the advantages of solar lighting? Of course, if you are not familiar with solar lighting, you probably have a lot of questions in your mind related to what actually the benefits of utilizing this comparatively new technology are. Solar energy is environmentally friendly. As mentioned, using solar lights plays a major role in reducing carbon footprint that has been created by producing energy from non-renewable energy sources. Only by slowly acquiring solar and other types of renewable energy it will be possible to decrease the problems caused by exhaustion of our planet’s resources. Solar energy is cost effective. Although this might seem a bit expensive technology at first, by doing the right math you will see that the money saved from being paid to your electric energy provider will eventually add up and cover the costs of the installment of the solar lighting within a matter of just a few months. Solar energy is unlimited source. Solar energy is inexhaustible. As long as you live in a place where there is some sunlight, there is no reason why you could not acquire it and produce energy out of it. Solar lighting systems require a very little maintenance. Solar lighting systems are one of the easiest to be maintained. Apart from doing a few check-ups and cleaning throughout the year there is nothing else much you have to do to ensure longevity of your solar lighting. Solar lighting is available in wide range of styles. As mentioned before, solar lighting is now available in numerous types, styles, shapes, sizes etc. and has been made not only to serve the functional purposes but also to be aesthetically and visually pleasing. The range is great and there are not many doubts that you will eventually find an option that will suit your individual expectations and needs. Monocrystalline, Polycrystalline And Thin Film Solar Panels: How Do They Differ? I really like that you point out that since you are getting the energy from the sun you won’t run out. My husband and I are talking about getting solar lights installed in our home and I think we should do it as soon as possible. I’ll have to do some research and find the best company to come and get the panels installed. Since you mentioned that some of the advantages of solar energy are that it is environmentally-friendly, I thought that maybe getting a solar garden gnome for the garden would make a nice idea that it is embodying the nature of the sun into a light fixture. I do agree that it is cost-effective as you pointed out which I think is great since I don’t have time to spend too much money on garden light fixtures anyway. Because I do agree that solar energy is unlimited resource, I’ll be able to see those gnomes during night every time the sun sets if I buy some online. Next story What are Spotlights and How They Differ from Flood lights? Previous story How to Clean Solar Panels?